Kale is a well proven fodder crop which consistently provides very high yields of succulent green fodder. One of the big advantages with kale is the crops flexible utilisation period which can stretch from July right through to the following March. The crop has a high crude protein content and can be fed to all types of livestock. Kale is also an ideal full season gamecover crop. Fodder beet offers a higher yield potential than any other ‘arable’ fodder crop. The roots have an excellent feed quality and they are very palatable to ruminant stock. The tops can be utilised if required to boost the total fodder output even further. The crop tends to be lifted and the roots stored but some farmers have strip grazed the crop very successfully with dairy cows and even pigs. 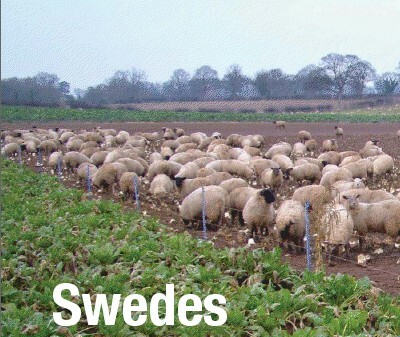 Swedes prefer a cool, moist climate so traditionally they are grown in the west and northern areas of the UK. Sufficient rainfall is required together with good soil conditions in order to provide strong root development. On this basis, either cultivation in higher rainfall areas or the use of irrigation is essential. In general the good winter hardiness of swedes makes them suitable for the coldest sites in the UK. The crop can be fed to stock or some varieties also have a culinary potential. 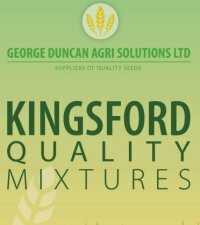 The large acreage of maize grown in the UK should come as no surprise when you consider the crop’s package of features and benefits. The significant yield that maize can deliver is achieved with a single cut and the crop has a consistent quality that is maintained over a relatively long harvest period. Forage maize has a very high energy and starch content and it makes a very palatable addition to your winter feeding programme.